Seats were prettty poor but you could still tell they were pretty good. 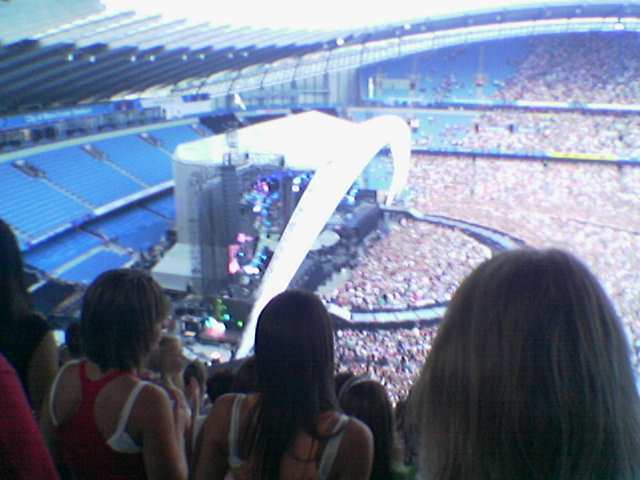 Chris hasn’t mentioned that they often came out onto the half circle thingy and danced on the smaller round stage you can just see in his pic. We could see them there. Have to admit to looking forward to the DVD so we can actually watch the show.